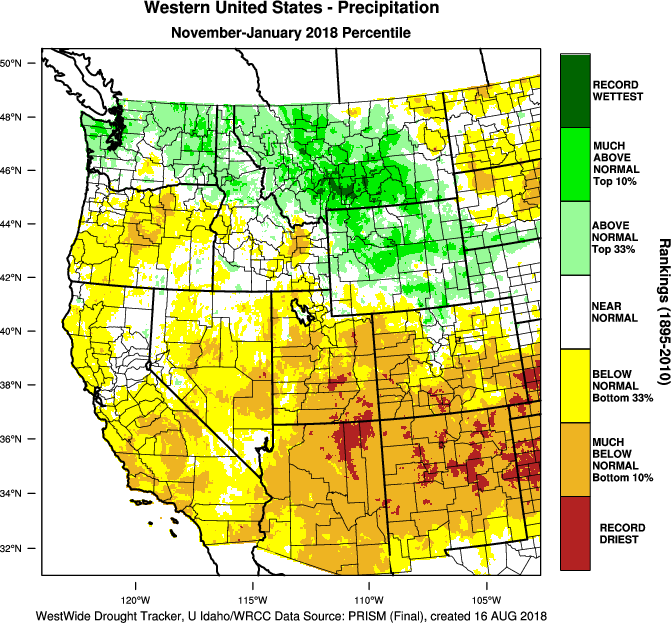 Feb 2018 SW Climate Podcast - Realistic Expectations for Clawing Back to Normal Precip in a La Niña - Prospects for a Miracle March? 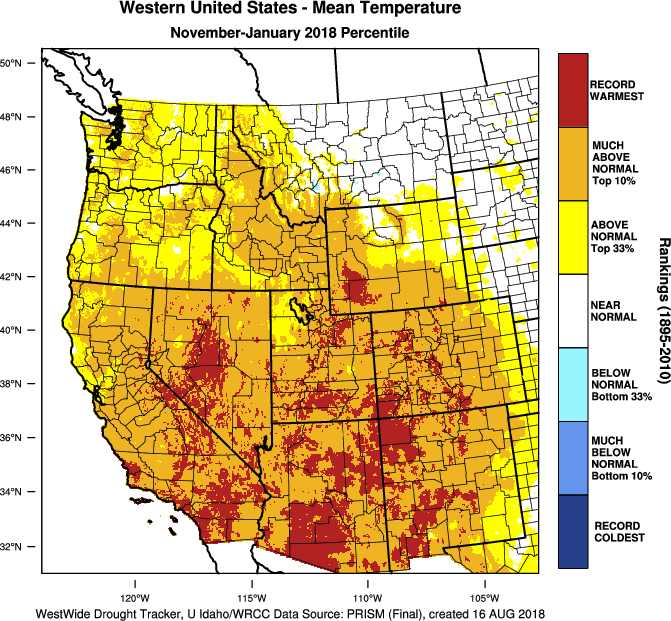 In the February 2018 episode of the CLIMAS Southwest Climate Podcast, Mike Crimmins and Zack Guido chat about what's been going on in the Southwest over the past few months, since we last recorded a podcast. In terms of precipitation, the answer is not much, unless the day in question is also a podcast day - the weather has an odd - but welcome - habit of raining on days we record the podcast. In terms of temperature, the record to near record heat remains a key part of the winter story. 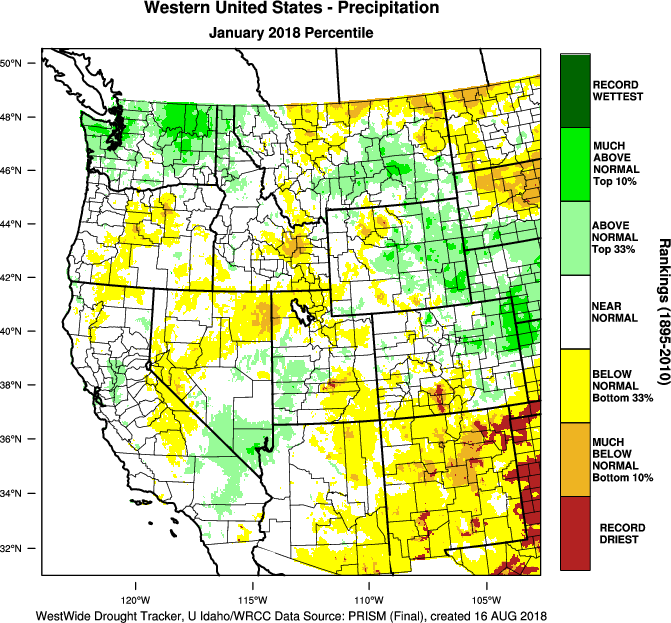 Specifically, Mike and Zack discuss the conditions of the past 1-3 months, focusing on the overall lack of precipitation in the Southwest, meager snowpack, above average temperatures, and impacts associated with warmer and drier than average winters, including an early start to fire season in Arizona. 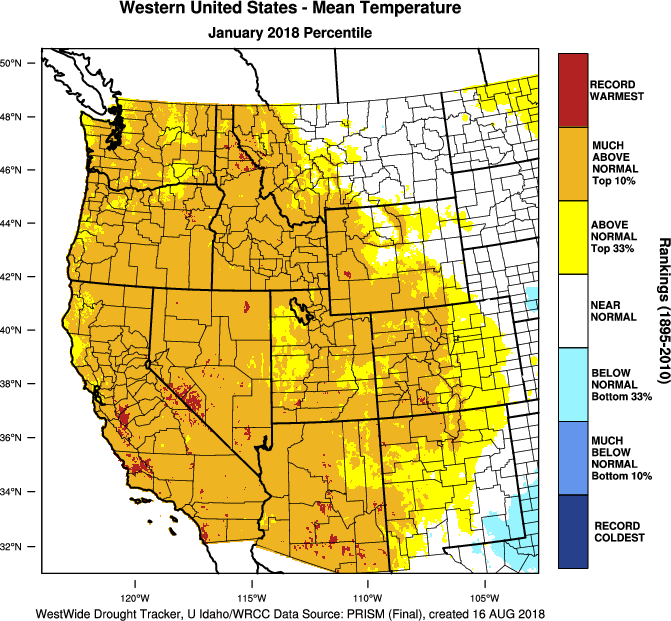 They also discuss the atmospheric patterns that have led to the elevated temperatures and lack of precipitation in the SW, and what changed in the past week that brought much needed moisture and cooler conditions to parts of Arizona and New Mexico. They also grapple with the prospects of a "miracle March" that could pull seasonal precipitation totals back up to near average, and whether we have any shot at this (spoiler: chances aren't great). They also discuss if this were to happen, whether it could quickly reverse long term precipitation deficits and drought impacts (again, unlikely). They wrap up with a discussion of the current La Niña event and the role it has played in the Southwest, as well as what the seasonal outlooks have to say about the next few months.